Many of the big ice cream chains use celebrities to endorse their products, however, if you are one of the small kids on the block you may not be able to afford to do that. It’s also true that unless you live right on the Hollywood strip that you could end up waiting forever and a day for a celebrity to walk through your door so you can put up an autographed testimonial from them on your ice cream parlor wall. 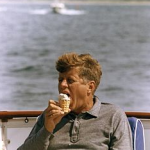 One way around this to do a little search on the web to find public domain photographs of famous people enjoying ice cream. 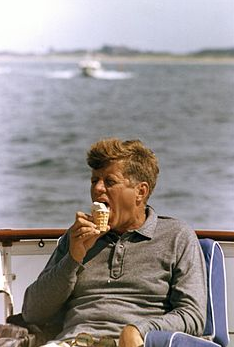 A nice example of a public domain photograph (meaning anyone can use it) is the one of former President John F. Kennedy enjoying a soft-serve treat. This particular photograph is owned by the United States government and anyone can use it. 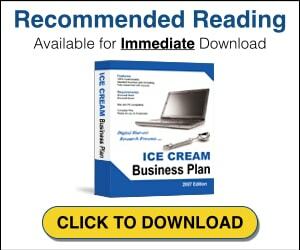 There are many more like it of all kinds of people enjoying ice cream that you can print out, frame and use on your establishment’s walls. Celebrities that have been known to promote soft-serve ice cream include Jennifer Love Hewitt, Jackie Chan, Margaret Thatcher and chef Jamie Kennedy.